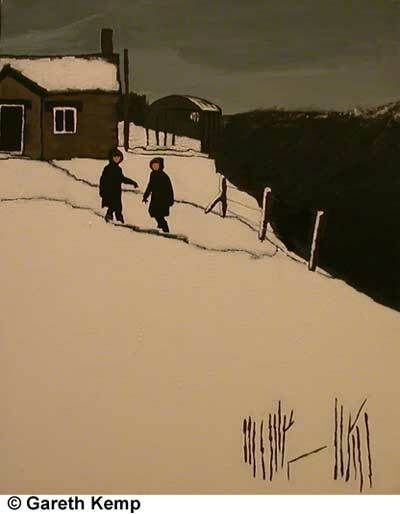 Gareth Kemp is a painter based in the North West of England. He is a self-taught artist, although he trained as an Art Historian. Gareth is creative director of Cube noir, a nomadic exhibition space he recently set up, through which to curate exhibitions in various locations and under-used spaces. During the Liverpool Biennial 06 he curated 5 exhibitions; Inaugural, Soup v Gazpacho, Half cut for confidence, new paintings by Tim Ellis, Score Draw, recent paintings by Gareth Kemp and The North West Passage by Mcfaul. 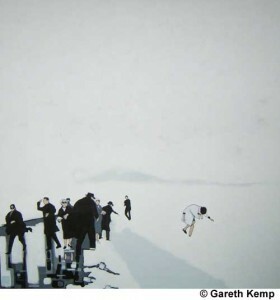 For the past few years Gareth has been working on a series of paintings called Fifteen feet of pure white snow. 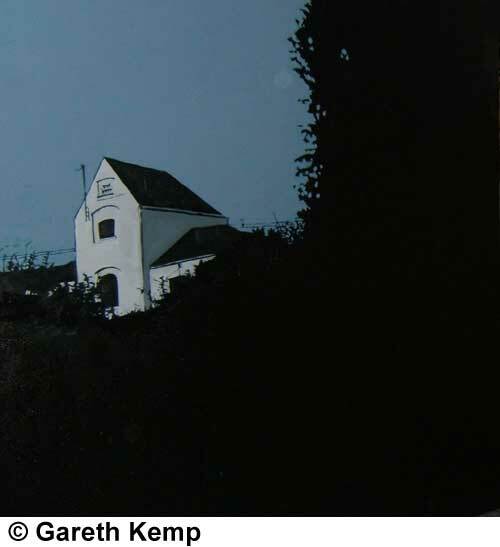 These canvases are inspired by a set of old family photographs of a remote part of Wales where he grew up. The paintings allude to more innocent times, whilst hinting at some kind of impending horror or disaster. Some of the pictures have figures in them; which lends an eerie, creepy and voyeuristic feel to them. In others, the landscape appears bleak and olde worldy; the only signs of the modern world are subtly painted electricity pylons or telegraph poles.